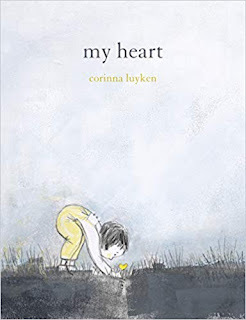 Some books don't just tug at the heart strings, they yank at them good and hard. Recently, I have found myself purchasing several which made me feel that tug when I read the reviews. Then I got them to read, and wham...pure on emotion! My picture book library seems to be ever expanding, the shelves starting to cave under the pressure...or so my husband says:) Some of my recent favorites which foster hope and insight include THE REMEMBER BALLOONS, A GIRL NAMED OCTOBER, IMAGINE, AND MY HEART. 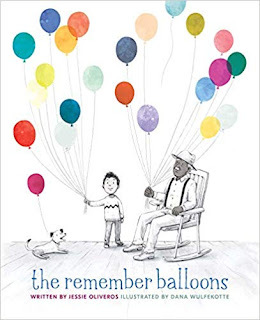 THE REMEMBER BALLOONS, written by Jessie Oliveros and illustrated by Dana Wulfekotte, is a truly amazing book. It serves as a wonderful way to help children try to understand and cope with a loved one suffering from dementia and brings hope in the face of struggle and pain. The art spoke to my heart as much as the text. Simply perfect! 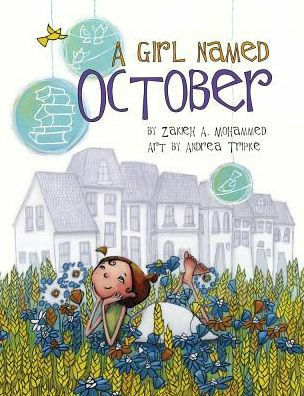 A GIRL NAMED OCTOBER, written by Zakieh A. Mohammed and illustrated by Andrea Tripke, has such a profound and insightful message on the view of life it will impact children and adults alike. IMAGINE, written by Juan Felipe Herrera and illustrated by Lauren Castillo, made me think and feel as a child again...oh the possibilities! MY HEART, written and illustrated by Corinna Luyken, celebrates the importance of letting one's heart be the guide and the ability to decide where it will lead. All of the above books spoke to my heart in numerous ways, big and small. I highly recommend all if you haven't had the opportunity to read them yet. I would also love to hear what books have spoken to you recently as I am always looking to add to my collection...and maybe bend the shelves a bit more! These books all sound so interesting. Like they ought to be in school libraries. Thanks for letting us know about them. There are so many goo stories out there, it's hard to read all of them. Right now, I'm reading Ruby in the Sky. It is a MG story about (from the cover) Bravery, friendship, heartbreak, and a dog. I love Ruby. She is so sweet. She just wants to be invisible. Have a good weekend. Ruby in the Sky sounds wonderful, Beverly. I will have to check it out. 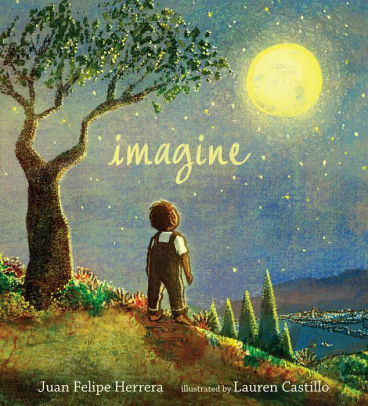 I agree there are so many wonderful stories out there!